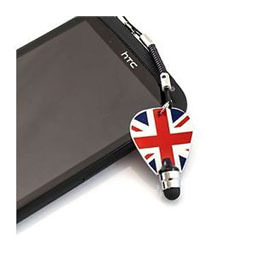 Introducing the iHolder: a handy gadget holder which allows for hands free use of all your favourite gadgets! This smartphone holder is pretty cool indeed and helps you keep your technology safe while you're busy reading, driving or even cooking! 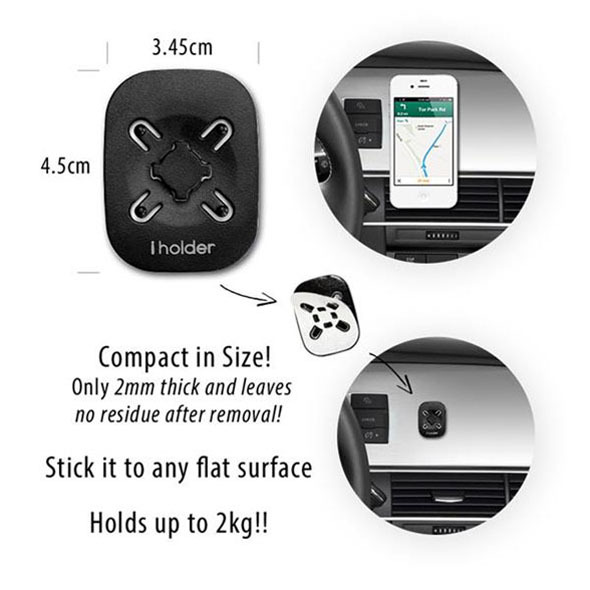 The iHolder is a simple gadget that could well revolutionise your life! 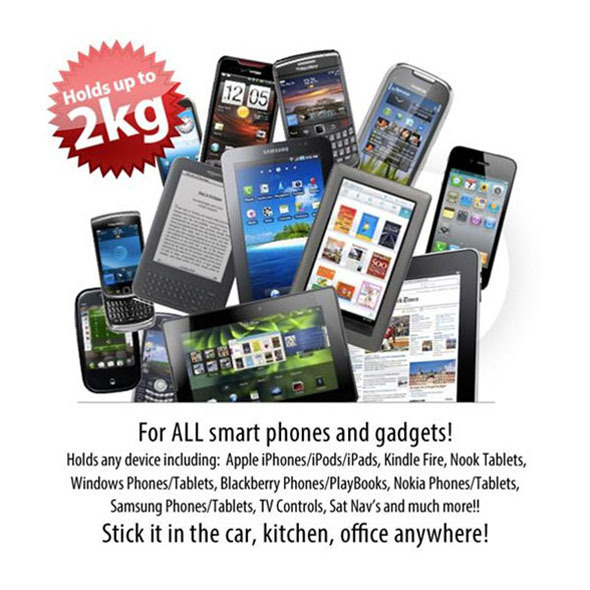 Simply stick to a flat surface, and it will hold your phone, tablet, sat nav, Kindle...anything, really! 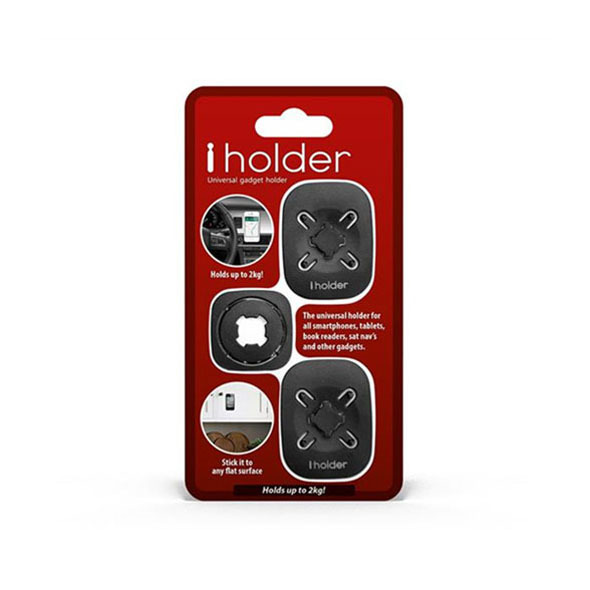 ​The iHolder is a compact gadget holder with a hundred uses! 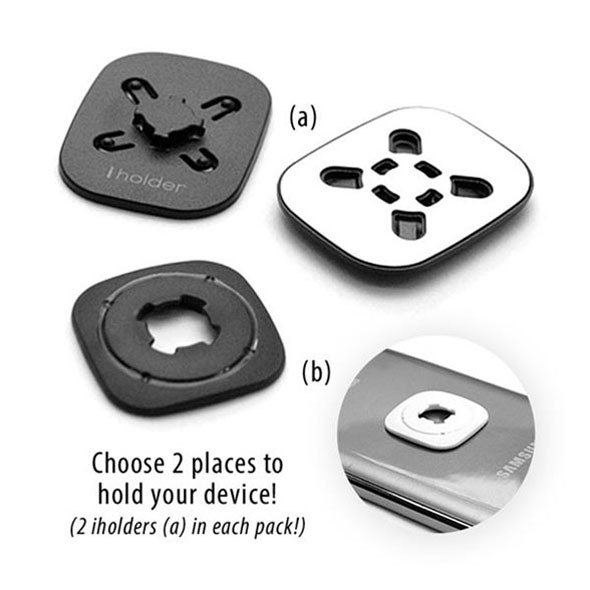 Simply attach one plate to your device, stick the other plate onto your desired surface, and click the two plates together - done! IN THE CAR: Put your sat nav where you can see it! 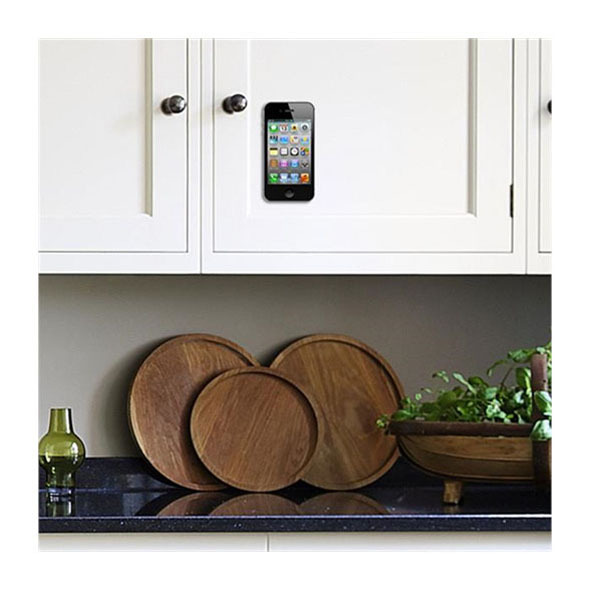 IN THE KITCHEN: Stick the iHolder to the wall and watch videos while you cook! 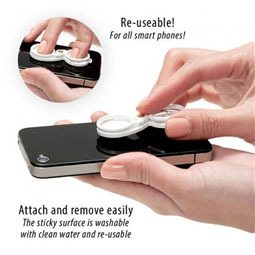 READING A BOOK: Place your book reader on the iHolder for hands-free reading!